Fox G.I. Dog Tag | BUDK.com - Knives & Swords At The Lowest Prices! This G.I. Dog Tag is made in the U.S.A. 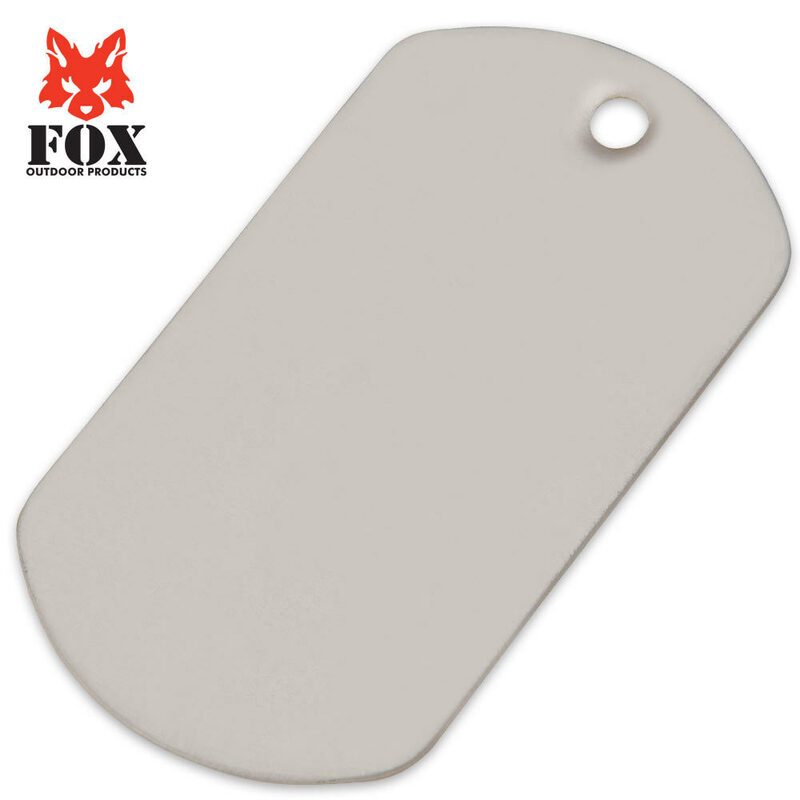 Constructed of stainless steel with a dull finish and a rolled edge, this pendant looks just like the dog tags you see hanging from soldiers necks. If you're looking for a legit military dog-tag, I don't think you'll get it here. That said, although this is thinner than quality dog-tags, I do think it's great if you want to punch or carve in something for your friend, or any gift or civilian use. To me, I think it's worth a dollar.